Generally speaking, a good villain isn’t too different from a multi-course dinner. Perhaps you get a small taste of them early on, having a fairly small impact initially and ramping up with increasingly larger appearances as the story continues. Or maybe they are some unseen force moving in the background, rarely showing up in the initial parts of the story but ensuring that each of their appearances are meaningful in some way. 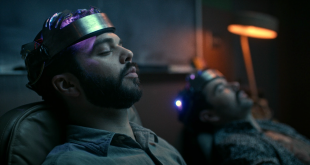 Unfortunately, this age old story-telling technique seems to have been forgotten in the third episode of Rooster Teeth’s Day 5 web series, which cripples the otherwise promising premise of the episode. No sleep plus drugs plus head trauma, what can go wrong? 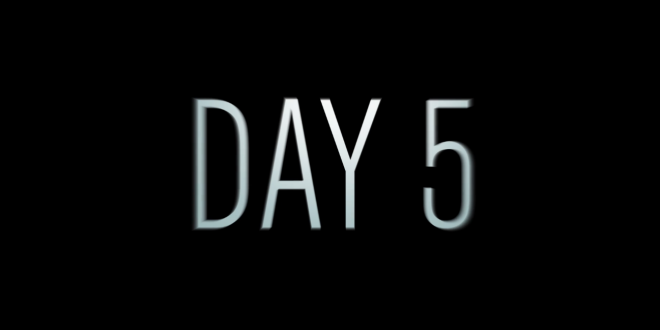 No post apocalyptic story is complete without some kind of conflict that is instigated by a crazed survivor, and this episode of Day 5 is based entirely around the main characters trying to avoid death at the hands of the aforementioned crazy person. 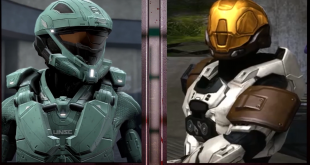 This could have been a huge storytelling opportunity for Rooster Teeth, but it ultimately falls short mainly because you see the villain, his backstory, and him killing someone within the first 10 minutes of the episode. By the time Sam, Jake and Ally catch a glimpse of him, it shouldn’t come as much of a surprise that this crazed survivor will be the person who is hunting them. It is almost as if someone was trying to emulate a horror movie like Nightmare on Elm Street, but you more or less know that the protagonists are pretty much going to be fine and you are introduced to Freddy Krueger and his life story within the first 10 minutes of the film. In other words, there is no suspense whatsoever which makes it very underwhelming when the protagonists finally confront the crazed survivor. There is no mystery behind him or his motives, there is no real sense of a struggle, and the main characters even seem to feign stupidity to humor him. Had the origin scenes of the crazed survivor been shifted to the end of the episode, perhaps it would have been more effective, but his presence only serves to distract the audience from the rest of the plot. Of course, that doesn’t necessarily mean that episode three of Rooster Teeth’s Day 5 series is completely unwatchable. There are still some interesting people that the protagonists meet (albeit for only a brief amount of time), but their existence is ultimately overshadowed by the somewhat forced conflict that the main characters find themselves in. At the end of the day though, you probably aren’t going to miss out on any huge plot points if you didn’t catch this episode simply because it feels as if it exists mostly as a filler for the rest of the series. 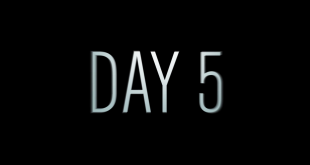 Day 5 episode 3 will be available on July 3, 2016 for Rooster Teeth sponsors, with subsequent episodes releasing weekly. You can sign up for a free 30 day Rooster Teeth sponsorship trial here.